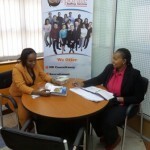 Finance Manager Job, Finance Jobs, Jobs In Nairobi. Our client is a faith based Non-Governmental Organization operating charitable healthcare programs worldwide. They seek to hire a born-again Finance Manager who will be tasked with monitoring and improving the financial management and internal control systems of the organization, by managing donors, stakeholders and operational efficiencies. Ensure timely submission of monthly financial reports, government reports, and other ad hoc reports, as requested. Ensure timely management of payroll and payment of salaries/wages. Ensure regular reviews of procurement and inventory control. Oversee subordinate staff members in the finance department and monitor the workloads and priorities of the team.